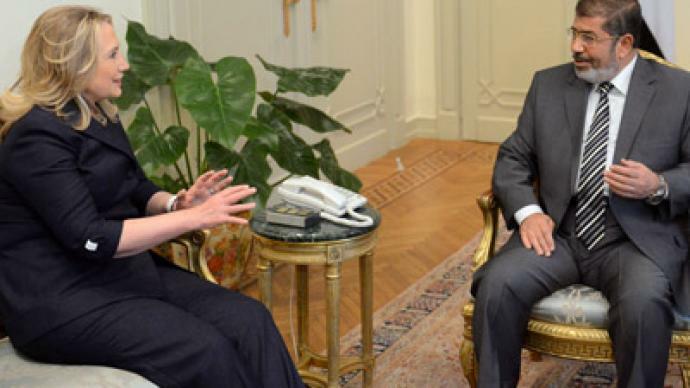 US Secretary of State Hillary Clinton met with Egypt's army chief Tantawi to try to push for the military to hand over power to the president. Anti-war activist and journalist Don Debar says that would leave the US free to do its ‘machinations’. 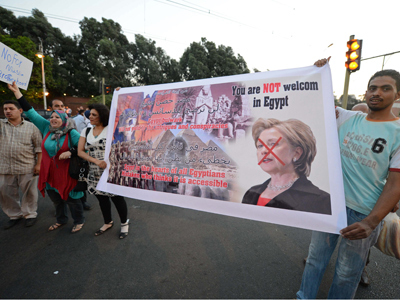 ­Their talks took place the day after her first official meeting with the newly elected Islamist leader, Mohammed Morsi. RT: In her latest meeting, Clinton urged the armed forces to pass power to the president. Do you see that happening any time soon? Don Debar: It’s a very mischievous suggestion by Hillary Clinton. Egypt is a pivotal nation in the region. The United States has taken a very forward-based foreign policy – you could look at Libya, Syria and Iran as examples of that – since President Obama took office. The Egyptian people put themselves on the map last year by getting rid of Mubarak, who was essentially a US puppet since [the third president of Egypt] Anwar Sadat was assassinated in 1981. But Egypt, since the revolution in 1952, was one of the founders of the non-aligned movement – the Bandung conference [of 1955] was very heavily influenced by [Egypt’s second president] Gamal Nasser. And it has been a thorn in the US’s side in the way it exerted power – look at the Suez nationalization in 1956. The fact that the United States was not allowed to have hegemony in the region, in the Middle East, while Nasser was alive. Also, Nasser was one of the first pan-Africanists. He worked with [the first president of Ghana] Kwame Nkrumah and [emperor of Ethiopia] Haile Selassie to integrate the Arab and sub-Saharan parts of Africa. RT: Field Marshall Tantawi, after meeting Clinton, hinted he would never let the Muslim Brotherhood dominate. So did this meeting go the way the US would have liked? DD: I think the US would like to see the appearance of the military backing down, with the military actually continuing to will power. 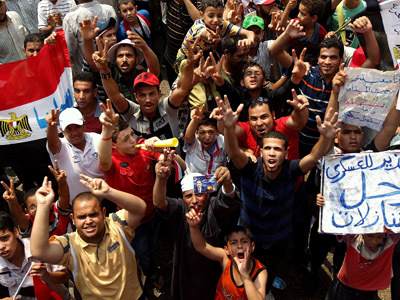 Regardless of what one thinks of the Muslim Brotherhood, and there are segments of that aligned with the US, their opposition in power right now rests on the backs of people on the streets, and as long as that’s true, then those people in the streets have power that, I think, the United States would like to negate. 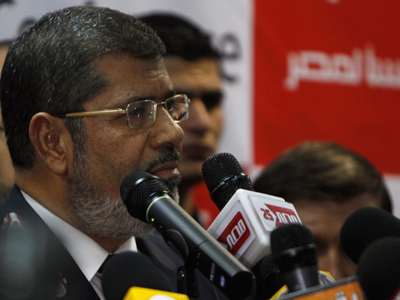 RT: Since Morsi was elected as president, he has gradually been upping the ante in the stand-off with the military. If there isn't a resolution soon, what shape will this feud take next? DD: In my opinion, an awful lot of it is posturing. I think Morsi would like to have more power personally, but I’m not so sure that Morsi and the elected majority in the disbanded parliament are hostile to US interests in the area. In that regard, the proof will be in the pudding, with respect to whatever policy they take towards Israel. But I do believe that Clinton would like to at least firm up and gain some legitimacy for the military to try to make them an equal partner, because I think that that leaves the United States free to do all kinds of machinations going forward – and that’s their intention certainly. 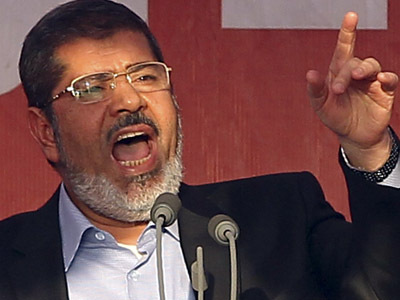 RT: And what do you think the attitude to Morsi is in the US? How will Washington feel about dealing with an Islamist regime? DD: Well, they have no problem dealing with Al-Qaeda in Syria and Libya, and again, the folks who supposedly assassinated Anwar Sadat were connected in one way or another to the Muslim Brotherhood – that’s the official story from the United States, my suspicion is that it was the US military. But they certainly have no problem dealing with Muslim countries, like Saudi Arabia and Qatar. I believe, as long as those countries recognize that they are subordinate to US power, the United States has no problem dealing with them.